Alan Hope Kirk was one of the most theatrical people you could ever meet. He dressed dramatically in black, spoke effusively with enthusiasm and moved with bristling energy. This was entirely natural to a man for whom the world was a stage and life a grand performance. Yet, for someone who struck you as a character from a Hoffmann fairytale, he was extremely worldly. In fact, Kirk was a man of extremes: he was extremely intelligent, extremely resourceful, extremely generous, extremely genuine and extremely engaged with the world. 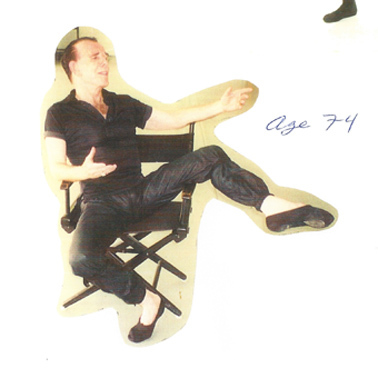 Although he was a graduate of accounting, Kirk spent the first half of his long life as a dancer and performing artist. In the second half, he embraced an additional, most extraordinary career in education and also, in a small way, turned to business. Thanks to his action-packed, globetrotting life, Kirk met countless people and made many friends. When an opportunity presented itself, he seized it, eagerly. That was Alan Hope Kirk and it was his way. 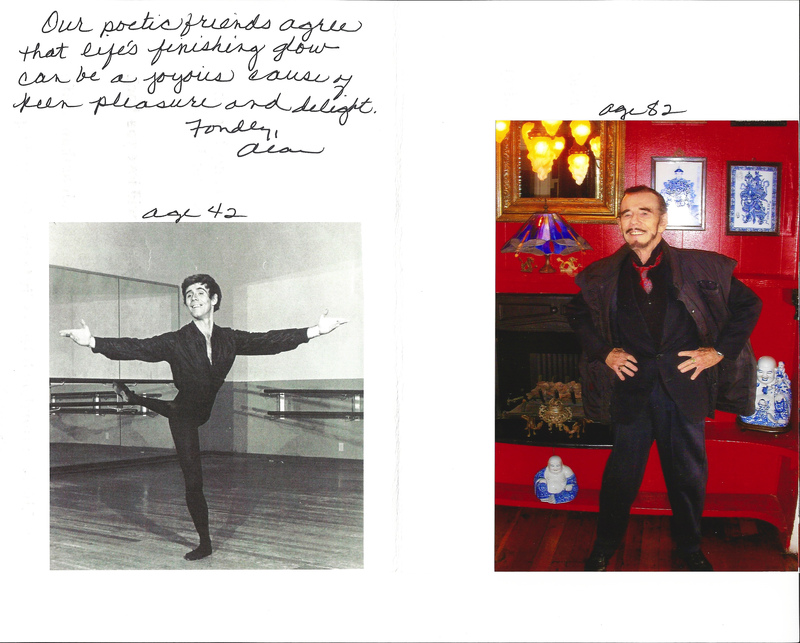 Despite an extremely varied international dance career that saw Kirk performing into his late 70s, it is not as a dancer that Kirk made his most memorable contribution to performing arts. His greatest claim to fame is his artistic alter ego: Cynthia Bear, whose naughty tendencies were always foiled by her niggling conscience. 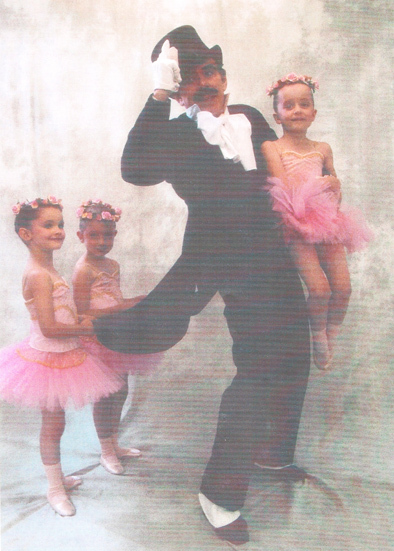 Kirk created and performed this tutu-wearing children’s character for The Tarax Show, shown on GTV-9, Melbourne, Australia. Cynthia is widely and most fondly remembered by viewers who were children or had children in the late 1960s. 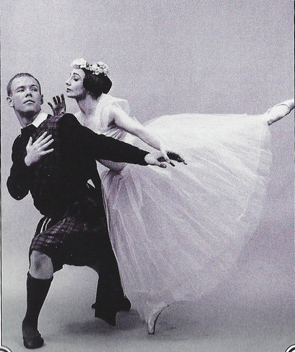 Kirk, who was born in San Diego in 1930, came to Australia in 1966, having met and married Australian ballerina, Lynne Golding, in New York in the 1950s. 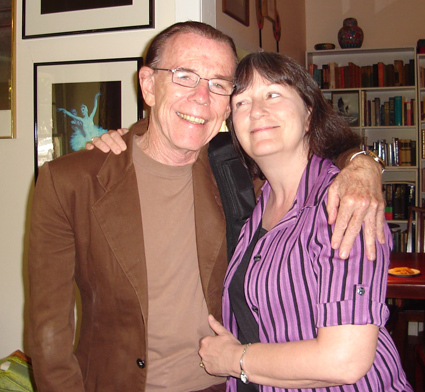 Although they separated in the early 1970s and Kirk returned to live in America, the couple shared an unbreakable bond that formed both the emotional and practical background of their lives and kept Kirk coming back to Australia for the rest of his life, even after Golding’s’s death in 2008. 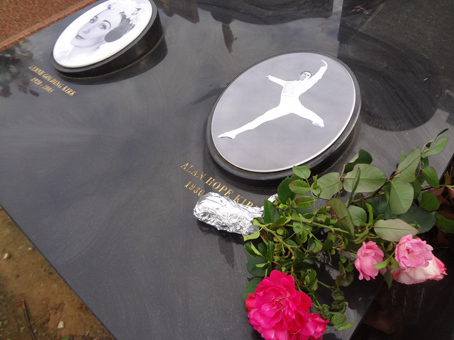 I met Alan in the early 1980s, at Lynne Golding’s ballet studio, when he taught the evening classical class that I took regularly in those days. He wore black practice clothes and a red patterned bandana, tied pirate-style to hold his hair in place. His movement was brisk and breezy, sketched out by flying limbs that left the impression of an animator’s pad being flipped. By contrast, Lynne was painstakingly methodical and precise. In fact, his free and easy approach was the diametric opposite of Lynne’s steely classical discipline and, in the Temple of Ballet, almost a little blasphemous. He gave no corrections at all. 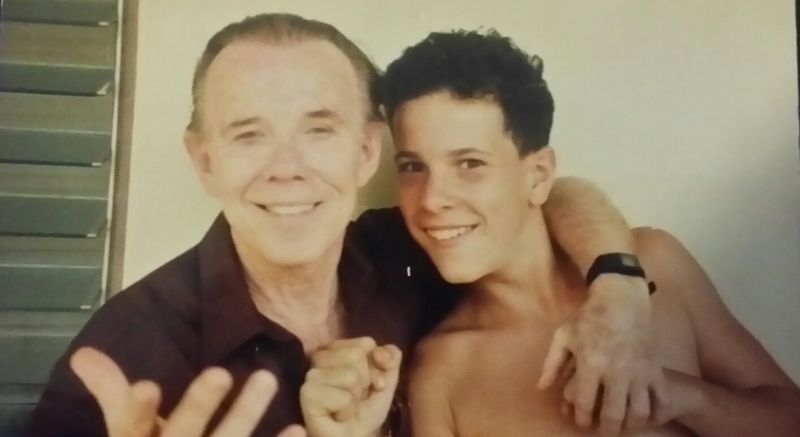 Kirk, the son of a Brigadier-General in the Marines, took up dance in high school and never stopped, taking class and performing to the end of his life. He was an avid student of a wide range of dance and movement arts and learned from many teachers, among them Ernest Belcher (who specialised in teaching dancers for Hollywood film, his students including Mary Pickford and Shirley Temple), Etienne Decraux (mime teacher of Marcel Marceau), and Pierre Vladimiroff, legendary stalwart classical teacher at the School of American Ballet. As a lifelong student of dance and movement, Kirk was always picking up something new. Earlier this century, on one of his many visits to Australia, he was very keen to gain some insight into Wing Chun Kung Fu, of which I had become an avid student, so he accompanied me to a class. My teacher, Sifu Dana Wong, rewarded Alan’s interest by spending most of the class with him, giving him a first hand taste of this subtle and highly effective Chinese martial art. It was at a classical ballet summer school in St Petersburg that Kirk met fellow American, Edith Pillsbury, ballet teacher-turned-writer. Before the event was over, he commissioned her to write Lynne Golding’s biography. Kirk’s idea of a holiday was to travel, learning and watching dance. His global roamings gave him the chance to see many leading companies and dancers. 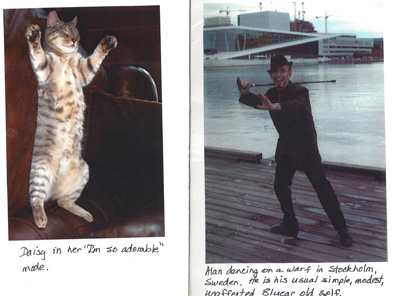 His favourite character dancer in the world was The Australian Ballet’s Colin Peasley, about whom he raved. Because Kirk was normally so grandly theatrical, when he ‘raved,’ he lowered his voice, spoke more softly and intently. As a young man, Kirk turned his back on the military career that had been mapped out for him and compromised by completing a degree in accounting with a sub-major in economics, graduating from San Diego State College with a BA in 1954. As an undergraduate, in San Diego, Kirk supported himself by dancing. His work spanned tapping at the Hollywood Burlesque Theatre and ballet, as a principal of the San Diego Starlight Opera. On being drafted into the US Army, he was posted to Germany, where he worked as an army auditor and simultaneously studied dance in Frankfurt and Munich. After discharge in 1956, army funds for ex-G.I.s enabled him to enrol in the London School of Economics. 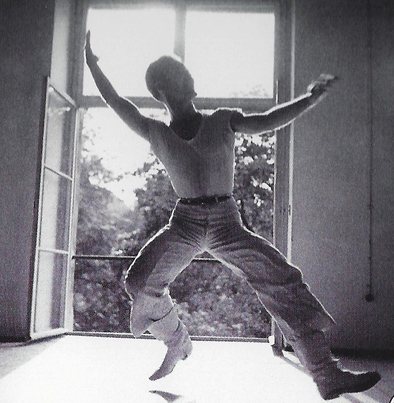 This phase saw him dance with Ballet Rambert and subsequently with Ballet de Paque, in Monte Carlo, under John Taras. When Golding returned to Australia because her beloved mother had had a stroke, Kirk followed, after honouring his work commitments. As luck would have it, Kirk waltzed into the tail-end of Australia’s Golden Age of local television. It was a can-do era of homemade shows, thrown together by the progeny of vaudeville, the masters of live radio and their enthusiastic apprentices. The shows were often taped before live audiences and, sometimes, even employed dancers. Initially, Kirk worked for the Australian Broadcasting Commission in World of Song and in specialised dance programmes choreographed by Rex Reid, Joe Latona and Betty Pounder. He even wrote and produced and danced in a documentary on the life of Lynne Golding. In 1967, Kirk joined Melbourne’s GTV-9 Ballet, a troupe of six male and six female dancers. Their main gig, but not only work, was In Melbourne Tonight, a local version of the US equivalents. IMT featured a personality host, off-siders and guests, in a variety format. For the dancers, it was a merry-go-round of class, learning new numbers and performing them for the camera. When GTV-9 decided that it needed a bear on its flagship children’s programme, The Tarax Show, it looked no further than the ballet troupe, already on payroll. Kirk, who jokingly referred to himself in later life as, “this old chorus boy,” gladly took up the artistic challenge. 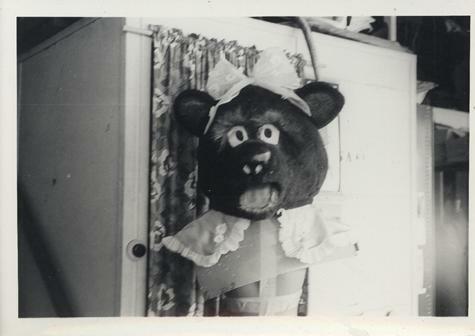 It was a time of bearmania in Australian children’s TV, thanks to the national popularity of Adelaide’s NWS-9 Humphrey B. Bear, who was mute, in the authentic style of the walkaround character genre, but extremely agile, expansive and expressive in his movements thanks to the dancer in the costume, Edwin Duryea, the original creator and performer of the characterisation. Melbourne’s ATV-0 had the huge and hugely popular Fredd Bear, performed by costume designer, Tedd Dunn, on its Magic Circle Club, one of the Tarax Show’s competitors in the cut-throat world of childrens TV ratings. Kirk was charged with producing, writing and performing the Cynthia segments. He created a very distinctive bear. If Humphrey was the bounciest and Fredd, the biggest, Cynthia was definitely the daintiest. She bobbed her head in many different ways to show her thoughts and feelings, she moved lightly and stood prettily. Adding another string to Cynthia’s lovely bow, Kirk made each of her antics a morality tale. Although this work was never publicly credited, Kirk enjoyed every minute in the Cynthia spotlight. The fan mail started pouring in. Ernie Carroll was handling it, with Hanrahan tackling the overflow and follow-up, as well as managing Cynthia’s live appearances outside of The Tarax Show. True to form, even during these heady days of TV work, Kirk never strayed too far from live theatre, also appearing in pantomimes, like Snow White and Aladdin, at Her Majesty’s Theatre and dancing Franz (male lead, Coppélia) more than 100 times, as a principal with Ballet Victoria, under the direction of Laurel Martyn. In 1971, when the live TV dried up for Kirk, he turned to teaching: ballet and jazz at Audrey Nicholls – Eve King School of Ballet in the evenings and Economics at Melbourne High School, a most prestigiously successful, selective-entry institution, during the day. This rekindled Kirk’s love of academic pursuits. Returning to America, he also went back to study, gaining an MA in Education (San Diego State University, 1975) and a LifetimeReading Specialist Credential from the State of California. While continuing to perform, study and teach dance, for the next 25 years, Kirk also devoted himself to his vocation as a teacher. Having enjoyed the life-enriching benefits of extensive and broad formal and informal learning, Kirk was a passionate believer in the value of education. 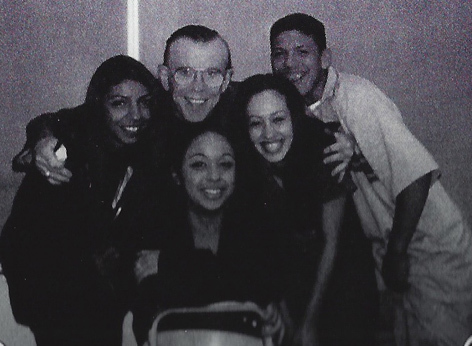 His philosophical commitment found true expression in practice as a high school teacher in South Central Los Angeles, at Thomas Edison Junior High School and South Gate Senior High School, specialising in language education and working with students from the most socio-economically disadvantaged backgrounds. 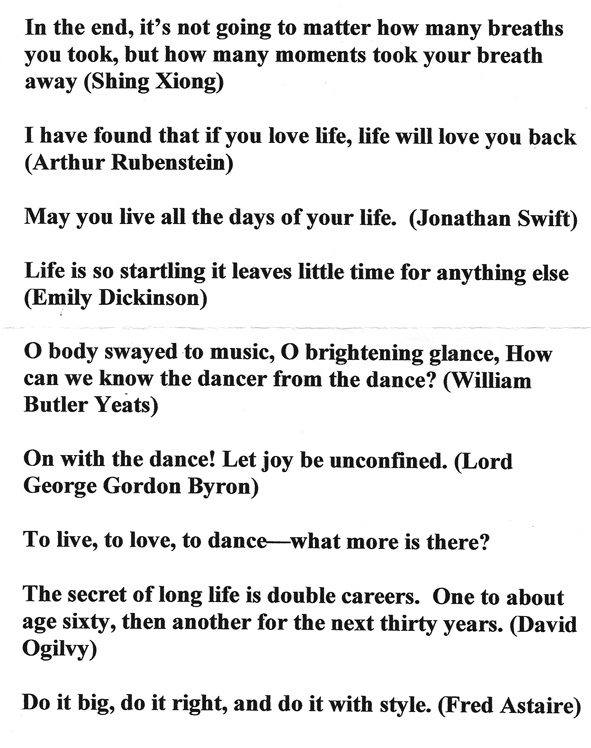 I had not known Alan Kirk, the dancer, long when I also became acquainted with Alan Kirk, the educationalist. Being as interested in other people, as he was, Alan found out that I had a day job teaching school to support my career as a dance journalist. He quizzed me about my work and my employer school. Familiar with the Victorian school system from past experience, he was fascinated to hear that I was working at McNab House, the innovative year 11 and 12 campus of Penleigh and Essendon Grammar School. Before our chat was over, Alan had organised to spend a day at the school, following me around to my English classes. Although this was a high fee-paying school, the students came from a wide range of socio-economic backgrounds and an equally wide range of academic ability. Had my colleagues – most of the staff were only young adults – and I known that we had Cynthia Bear in our midst, the excitement of Alan’s celebrity would not have allowed him to glide around the school, as discretely as he did. In fact, by the end of the day, Alan could have written a treaties on all he explored. By the end of the day, he had also teed up a visit to another school, where I had good contacts – Flemington High School, whose students were drawn from some of Melbourne’s most disadvantaged backgrounds. 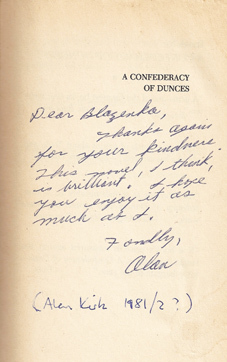 In thanks, for these school visits, Alan sent me a copy of Confederacy of Dunces, at that time a relatively new publication – certainly before it had reached the public consciousness in Australia. That he loved such rollicking comedy was another indication of his fun side. However, the novel also embraced the profound and for me, it was an introduction to the gloomy world of Boethius, the medieval scholar whom the main character studied. Along side his teaching in the classroom, Kirk also began mentoring students in the hope of motivating them to take advantage of the education on offer. But Kirk was encouraging others to learn and develop their talents long before he became a school teacher, as Australian television designer, Colin Gersch remembers. He met Kirk in his early days at Channel 9, when Kirk came into the scenic department, where Gersch was working as an artist. Gersch had been a student at the Gallery School, Melbourne’s most distinguished art school for much of the 20thC, and was struggling to support himself on scholarship subsistence, when he was recommended for the job. On their first encounter, Kirk commissioned an artwork from Gersch and their mutual interest in art forged the friendship between them. Kirk also encouraged Gersch to do ballet, giving him classes, after work and taking him to the Ballet Victoria School. Gersch, who chose to stay in television design but is still painting, valued this supportive interest. He says, “In those days, you learnt on the job and it became a life career.” The two remained good friends and Gersch speaks with particular admiration of Kirk’s work with his high school students in America. When Kirk died, at home, in LA, it was Gersch who was charged with looking after his burial in Australia. Alan Kirk was a delightful show-off, a preening peacock as a performer. As someone in the body-beautiful business of dance, he also had his little vanities. He kept in excellent trim and was given to discreet surgical cosmetic procedures. He would tell you how fantastic you look and express great surprise when you denied having had ‘any work’ done. It was all fun and games, in this respect, with Alan. However, he was extremely humble about his efforts and achievements in helping others. Despite our friendship of over 30 years, I had no idea of the phenomenal extent and depth of Alan’s mentoring work. Alan ventured into neighbourhoods where initiation into street gangs was by killing, often just a random murder. By establishing contact with his students’ families, he gained order in the classroom. Sometimes, he was even able to foster high academic success. One of the most-able students mentored by Alan, Jesus Rocha, accompanied him on the home visits, acting as a neighbourhood passport and often as a translator in Hispanic households. 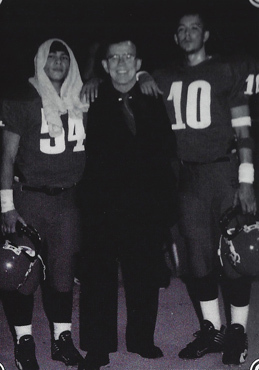 Rocha, who in those days lived in a garage with his mother and six siblings, is today an assistant principal and continues Alan’s mentoring legacy. Edith Pillsbury fills in some details, “After graduating from a humanities magnet school in Los Angeles, Jesus went to California State University, Northridge (in Los Angeles) He graduated in 1995 with a B.A. in Math, and got his Master’s Degree in Secondary Math Education at the same campus in 2002. Jesus began teaching math at John Adams Middle School, in 1995. At the beginning of the school year 2013, he became an assistant principal at John Adams. Adams, like Edison, is an inner city school–mostly Hispanic, lots of poverty, most of the children are on the free-lunch program, and many have parents who speak no English. Pillsbury has just completed a biography of Kirk’s fascinating life: Alan Hope Kirk – A Life Well Lived. It includes an evocatively written and very moving account of Kirk’s extreme dedication to his imaginative and tireless efforts to help students. It will receive a private publication, later this year, for his many friends. Married? Divorced? It made no difference because they were soul mates and what better way to show your feelings for another than by helping when help is needed! If Alan lavished every possible care on Lynne when she was too frail to fend for herself, it was Lynne who raided her life’s savings to fund the deposit for Alan’s first property purchase, when he made LA his permanent residence. Until then he had lived the life of an itinerant performer, what he called ‘a gypsy’ – traditionally, a seasoned performer, a showbiz survivor. Having embarked on a school teaching career, Alan bought a multi-dwelling, that he could also sublet. Thus began his business career. He described his tenants as ‘mostly artists and gypsies,” passing through, often to continued obscurity but sometimes to greater things. His most famous former tenants are the Coen brothers, the celebrated film makers. 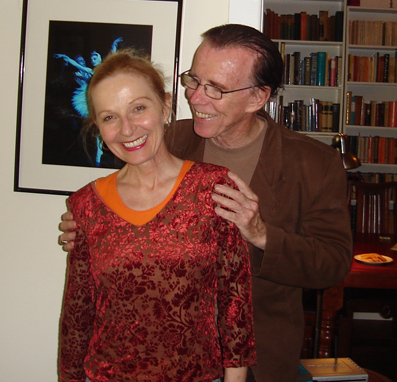 It is entirely due to Kirk that Golding’s biography, Lynne Golding, Australian Ballerina (Allegro Publishing, 2009) was produced. Although it only came out after Golding’s death, she was involved in the writing of it, with author, Edith Pillsbury conducting her extensive research in Australia. 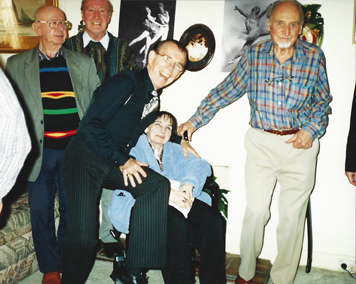 Considering that a professional dancer’s reward usually consists only of having the opportunity to perform and to share the joy of dancing with an appreciative audience, this would have given Golding an especially gratifying sense of recognition for her life’s work. The book is also important because it documents significant Australian dance history, providing a chapter that would otherwise have only remained a footnote. Where Lynne was narrow – in the best sense of the word, focused on the minute, in which the quality of a tiny detail perfected the texture of the whole – Alan was broad, embracing the wide-ranging, over-arching totality. This contrast of extremes was probably the secret of their harmonious and deeply-committed relationship that spanned continents and decades, till death them parted. But even in death, they have been reunited in the one grave. After a life of such mutual devotion, it seems absolutely right that they should be buried together. He is survived by Daisy, his beloved cat and many friends and colleagues, with one of whom Daisy was living part-time, thanks to Alan’s frequent travel, and where she now has a permanent home. For his many friends, Alan lives on in the legacy he left by the generous way he shared all he had: as a practical benefactor, an inspirational teacher and artist, an entertaining companion and, above all, as a much-loved friend. Thanks to Caroline Hanrahan, Colin Gersch, Jesus Rocha and, especially Edith Pillsbury for their invaluable help in the preparation of this piece. Since the above was published, it has come to light that Alan Hope Kirk is also survived by an estranged son, Paul Leonard Kirk, born 1980, Lynnwood L.A. to Ana M. Pitti. 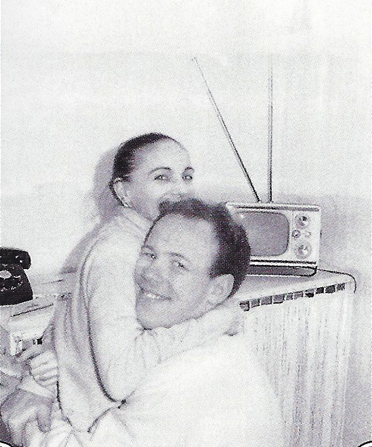 According to Paul Kirk, the estrangement was broken only for a fortnight, in 1994, when the photo, shown below, was taken. Paul Kirk remembers it as the only happy time in what was for him a deeply unhappy and troubled relationship.